Briar Patch B&B Inn is very proud to announce that we have earned six awards this year from the nation’s top wedding and travel websites and publications, including Wedding Wire, The Knot, Trip Advisor, Washingtonian, Virginia Living, and Leesburg Today. For the wedding awards, we believe it is our commitment to making each bride & groom’s vision of their special day a reality coupled with our spectacular country setting that results in so many beautiful weddings at Briar Patch and leads to the award winning reviews submitted by our brides and grooms. With our 47 rolling acres, beautiful grounds with pool & hot tub, historic lodging in a 200 year old house & a cottage, great mountain views, & event building for up to 200 guests, we are an ideal location for a getaway, wedding, party, fundraiser, meeting, or retreat. For the B&B awards, we believe it is our exceptional service, outstanding accommodations, and breathtaking setting with mountain views that set us apart. We currently offer nine bedrooms in a 200 year main house & separate cottage. We are in the process of adding three more bedrooms in a new building called the Chicken Coop on the site of a former chicken coop. The Rooster Room, the Hen Room, & the Chick Suite will have all the modern amenities in a setting that will re-cycle some of the wood from the old building. Receiving these awards is literally the icing on the cake for us. After all, our first priority is to delight our guests and, for the wedding couples, to make time spent with their families and friends on their wedding day simple, elegant, and memorable. The Briar Patch team thanks all those brides & grooms who voted for us for the wedding awards and all the guests & friends of Briar Patch who helped us win the B&B awards. 2014 marks the sixth year in a row that Briar Patch has received the Wedding Wire Couple's Choice award; we are proud to have won this award every year since its inception in 2009. Votes are cast in the form of reviews from the brides & grooms for each venue or vendor they worked with during their ceremony and reception, and then Wedding Wire selects the top 5% of eligible wedding businesses. This site boasts over one million reviews posted, and we are pleased to have risen to the top in our category! Briar Patch has won The Knot Best of Weddings award every year since The Knot has been conferring this award thanks to brides & grooms who love us! Winners represent the top 1% of all wedding vendors reviewed in the Northern Virginia/DC Metro area who won this coveted award - no small accomplishment. In addition, we are one of a select few companies who have won The Knot Best of Weddings four times, earning us a place in The Knot Best of Weddings Hall of Fame! 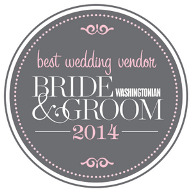 Briar Patch has won the Washingtonian Bride & Groom Best Wedding Vendors award for 2014 and we have enjoyed receiving this distinction every year since they began giving the award. The award recipients are selected by editors of the magazine supported by a panel of wedding industry experts who designate the top businesses in each category. 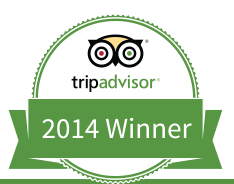 Briar Patch B&B Inn has received a TripAdvisor Certificate of Excellence award for 2014, a distinction we have enjoyed for many years. The accolade, which honors hospitality excellence, is given only to establishments that consistently achieve outstanding traveller reviews on TripAdvisor, and is extended to qualifying businesses worldwide. Establishments awarded the Certificate of Excellence are located all over the world and represent the upper echelon of businesses listed on the website. Leesburg Today newspaper does an annual readers poll called Best of Loudoun to determine the best places to eat, shop, stay overnight, have an event, get healthcare services, and scores of other everyday needs. Briar Patch is pleased to have been chosen by Leesburg Today’s readers as the runner up in the category of Bed & Breakfast/Inn. Virginia Living magazine readers voted on their bests in dining, shopping and doing across the five regions of Virginia — Central, Eastern, Northern, Southwestern and the Shenandoah Valley. More than 32,000 readers let them know where to find the best the state has to offer for the Best Of Virginia awards. We are excited that Briar Patch B&B Inn was chosen by Virginia Living’s readers as one of the best B&Bs in Northern Virginia. Whether you are planning an intimate destination wedding, gathering for your closest friends and family, or a getaway, please get in touch with us and learn more about how the lovely grounds and modern event building at Briar Patch Bed & Breakfast Inn will offer you a great time.